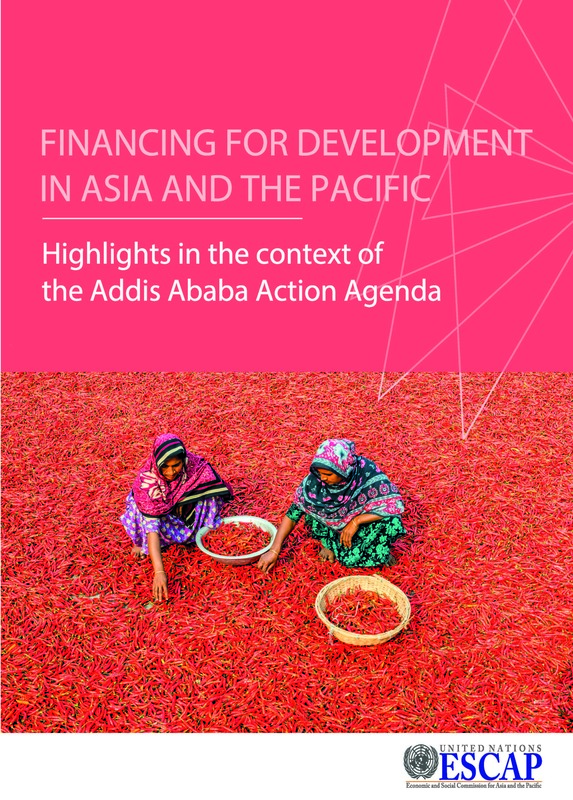 The Addis Ababa Action Agenda of the Third International Conference on Financing for Development (henceforth “the Agenda”) has been recognized as critical for the realization of the Sustainable Development Goals and targets. The Agenda provides a global framework for financing sustainable development and consists of several hundred commitments and policy actions that member States of the United Nations pledged to undertake individually and collectively. The Agenda established a follow-up process which includes an annual Economic and Social Council forum on financing for development with universal, intergovernmental participation and an inter-agency task force composed of major institutional stakeholders and the United Nations system. The purpose of the inter-agency task force, of which the Economic and Social Commission for Asia and the Pacific (ESCAP) is a member, is to report annually on the progress in implementing the Agenda. The purpose of this report is to take stock of salient aspects of the implementation of the Agenda in Asia and the Pacific by highlighting key developments and policy actions by ESCAP member States in the seven areas of the Agenda. Considering the large membership of ESCAP and the many policy areas included in the Agenda, this report is necessarily selective in its coverage. Nevertheless, the report attempts to ensure a geographically balanced coverage of the region, as well as the inclusion of the most significant policy actions undertaken.